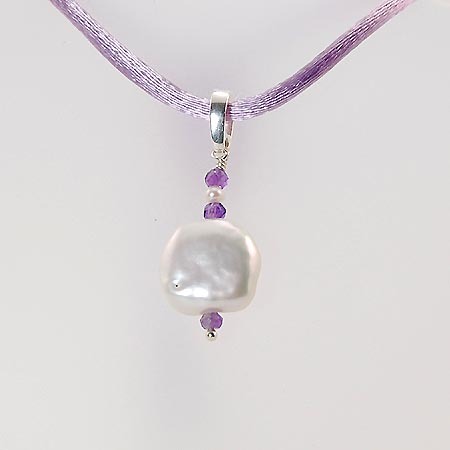 This gorgeous pendant combines an iridescent white freshwater cushion pearl with small delicate white freshwater pearls and violet amethyst rondelles for an intriguing look. 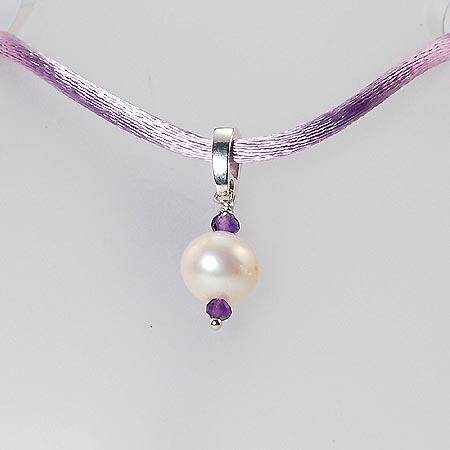 Sterling silver wire work and enhancer complete this graceful design. Ancient Greeks and Romans used amethyst in several ways from beads in jewelry to amulets. They believed that the amethyst crystal meaning was synonymous with luxury and as such projecting wealth and power. The cord shown is not included in this affordable price.